In Ho Chi Minh City, Vietnam, the amount of available greenery has diminished. While the landscape was originally lush with tropical forests, it’s currently experiencing rapid urbanization, as are other cities in the country. There’s an overabundance of motorbikes that cause traffic congestion and serious air pollution problems. 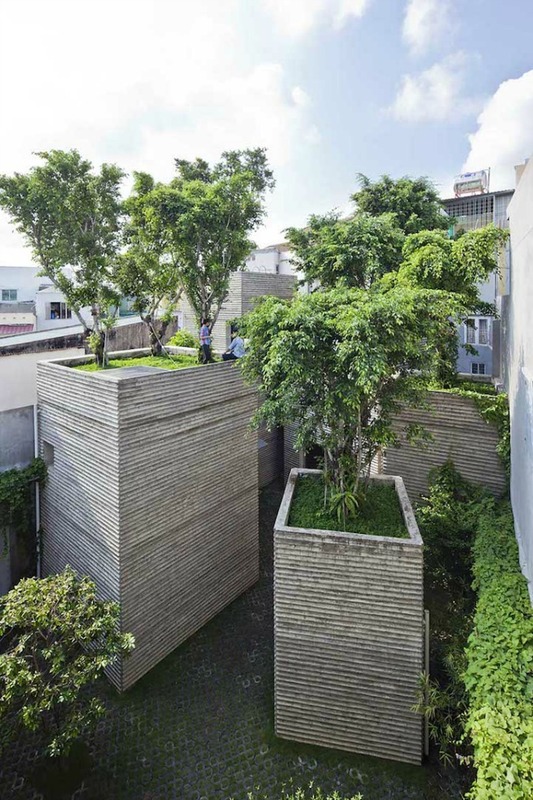 To help combat this issue is House for Trees designed by Vo Trong Nghia Architects. Intended to return green space to the city, these building concepts feature big trees on their roofs. The structure is thought of as a “pot,” or a vessel for the vegetation to grow. Thick soil layers will function as storm-water basins for detention and retention. This means that they will help reduce the risk of flooding in the city, in addition to providing benefits like cleaner air. 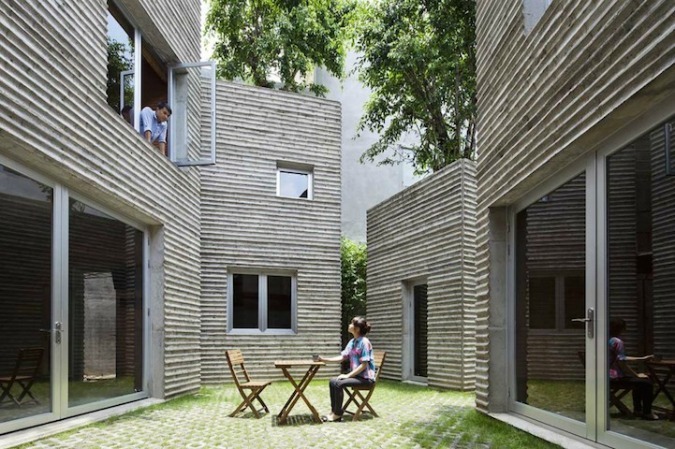 And, depending on how the trees are positioned, they can create a tranquil space for residents to escape from the hustle and bustle of urban life. (source).